Following its highly-successful launch at the Land Rover Kentucky Three-Day Event that mesmerized and excited the 11,794 spectators in attendance, Hylofit will present another demonstration of its revolutionary new heart rate monitoring system at the 70th anniversary CHIO Rotterdam in The Netherlands, June 21–24. Tristan Tucker of TRT, an Australian FEI dressage rider and horseman, originally from Melbourne Australia and now based in Holland, is partnering with the Hylofit team to bring an objective measure to his showcase. 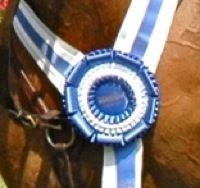 Using Hylofit’s groundbreaking technology, the heart rates of both horse and rider will be captured and broadcast in real time on the large scoring screen at the Interchem Arena at Rotterdam. The real-time display of both heart rates will clearly demonstrate workout intensity and stress, allowing spectators to see instantly the impact of Tucker’s natural horsemanship work. 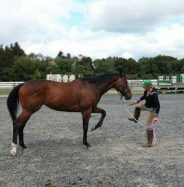 Tucker has made a name for himself working with riders and their horses to improve communication and partnership. He specializes in working with hyper-sensitive and spooky horses and his teaching is designed to train a horse mentally to be more confident and relaxed. His TRT Method ground work exercises create patterns in the horse’s body to relieve tension and teach horses how to handle and respond to flight-inducing pressures at shows. His work prepares horses for competition and trailer loading and gives them more balance and flexibility for carriage without fear or stress. 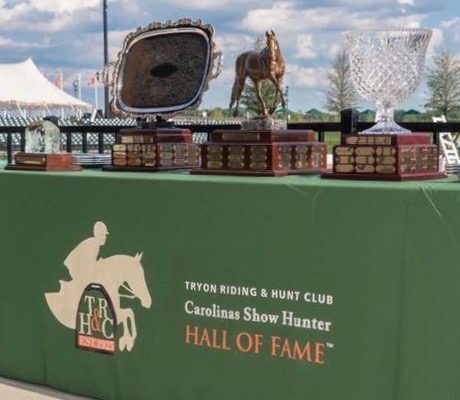 Hylofit is the brain child of Eliane van Reseema of Jewel Court Stud USA. 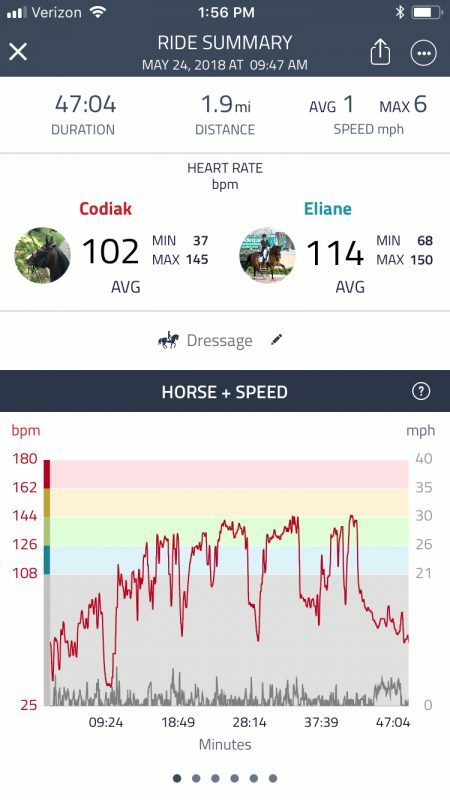 Hylofit is a wearable technology that allows riders to track workout intensity and improve training results, thereby promoting the overall fitness and wellbeing of their horses. 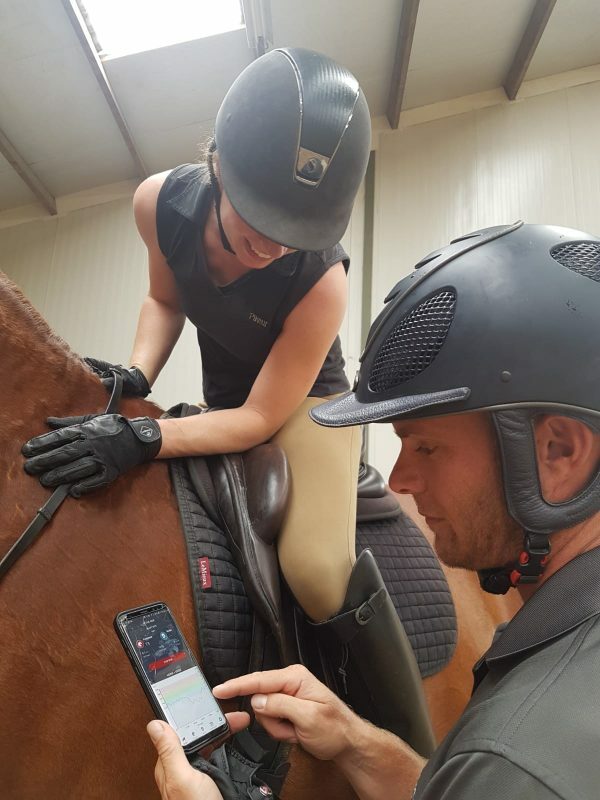 With an unobtrusive girth attachment and an easy-to-use app, Hylofit gives immediate, in-ride feedback to the rider so informed training decisions can be made from the saddle. It is the smart addition to training regimes and an important tool for the competitive equestrian athlete. Hylofit was first showcased live at the Land Rover Kentucky Three-Day Event. 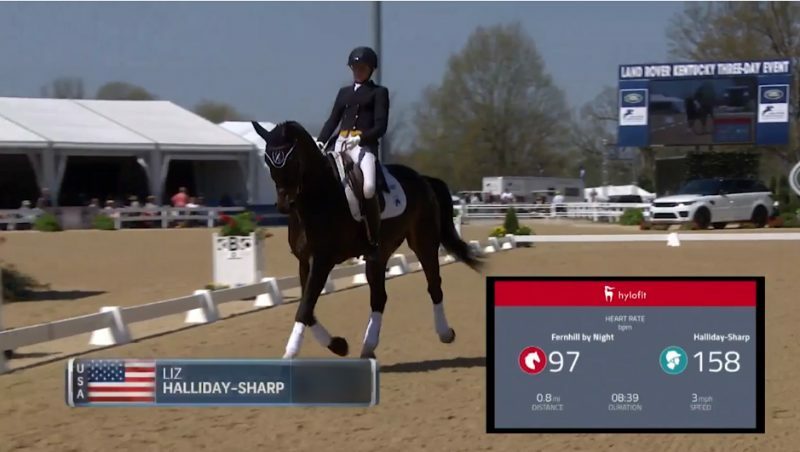 Liz Halliday-Sharp conducted two rides with Hylofit; the dressage test ride with equine partner, Deniro Z, and a beautiful freestyle routine with equine partner, Fernhill by Night. 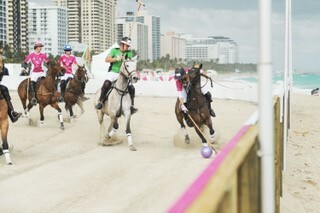 During both rides the horse and rider heart rates, and other key metrics, were visible in real-time on the large screen in the Rolex Stadium. Both showcases wowed the live audience as well as spectators around the globe who were able to view the demonstrations via the live web broadcast. Hylofit is currently available for pre-order and will be widely available later this year. There will be a Hylofit/TRT booth (Location N) near the entrance to the Village and Interchem Arena at CHIO Rotterdam. All are invited to stop by and learn more! Further information on Hylofit is available at www.hylofit.com where visitors can use the code CHIO2018 to purchase the Hylofit system for 25% off. 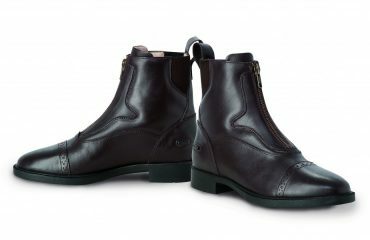 Further information on Tristan Tucker and TRT is available at www.trtmethod.com.